This report, by Liz Rocca, was psoted to KomoNews.com. March 26, 2009. "My job was to kick down doors." Susan Avila-Smith is a veteran and an advocate for military members suffering from trauma and says these soldiers need help now. "It's imperative to understand these people went over there, were trained to kill, they killed, they came back and there's no debriefing, there's no 'ok, we're going to train you how to adapt to society now,'" she says. The military contends it's more prepared than ever to deal with PTSD. In fact, Fort Lewis - the very post that K-10 ran away from - was one of the first to screen every returning soldier for both physical and mental problems. Soldiers are screened upon their return to post with a lengthy questionnaire and face-to-face meeting. They are screened a second time 90 days later. Dr. Murray Raskind, a Veterans Administration psychiatrist who treats PTSD, says the military is getting better, but the screening isn't foolproof. "The question is does the soldier recognize that they have a problem and are they willing to say that they have a problem?" Raskind says too many soldiers are still reluctant to admit they are struggling for fear it will create a paper trail that will ruin their careers. And, Raskind says, it can sometimes take up to a year for problems to surface. Cisneros finally found help through the Veterans Administration and the National Center for Post Traumatic Stress Disorder in Northern California. "I've started to build a foundation of hope and humanity again," Cisneros says. Arthur Smith is getting treatment from a civilian therapist, and has resigned himself to living life as a fugitive. "I don't mind saying that I'll never go back - if I do I'll break out," he says. But K-10 says his dangerous rage should have raised significant red flags for the Army. "I'm tired of just hating everything around me and wanting to destroy it." While still in Iraq, K-10 says he suffered nightmares and depression. "I couldn't sort things out, my head was racing with anger and rage." He says he thought of murdering his fellow soldiers and claims he told his command staff and a chaplain, "that I'm thinking about killing everyone there and I probably need to get some help before I slit your throats while you're sleeping." Soon, K-10 says he went from thoughts to action. He says he pulled the pin on a grenade with the intent of going after his sergeant. But, he says, he changed his mind. The very next day, K-10 says, he went after his sergeant again, this time with a knife. The now AWOL soldier says the Army stripped him of his weapons and reduced him to mopping floors. And in the wake of that violent outburst, K-10 insists the Army never got him any mental help. "Like 20 men saw me try to kill a staff sergeant, they knew, they knew damn well that I wasn't right," he says. Fort Lewis officials tell the Problem Solvers that they don't believe the attacks against the sergeant ever happened. In a written statement, Fort Lewis spokesman Joseph Piek said, "We have no knowledge of any incidents involving (K-10) threatening (a sergeant) with a knife; threatening him in-person or in front of his squad or platoon; or pulling the pin on a hand grenade and threatening to frag his unit. We do not believe these incidents happened. "There was an incident where (K-10) expressed his desire to use a hand grenade to hurt or kill members of his platoon. That threat was made in front of the unit First Sergeant and a Major in the battalion, and he was given non-judicial punishment for this threat." K-10 says he wants an immediate discharge so he can get mental help and medical benefits from the U.S. Department of Veterans Affairs. But today, K-10 remains on the run, a man who has slipped through the cracks, still angry and still potentially violent. "If they ever did get me, if they ever apprehend me they'd try to put me back with my unit and I'd go after the first person I had a chance to." FORT LEWIS, Wash. — Josh Barber, former combat soldier, parked outside the Army hospital here one morning last August armed for war. A cook at the dining facility, Barber sat in his truck wearing battle fatigues, earplugs and a camouflage hood on his head. He had an arsenal: seven loaded guns, nearly 1,000 rounds of ammunition, knives in his pockets. On the front seat, an AK-47 had a bullet in the chamber. The "smell of death" he experienced in Iraq continued to haunt him, his wife says. He was embittered about the post-traumatic stress disorder (PTSD) that crippled him, the Army's failure to treat it, and the strains the disorder put on his marriage. Despite the firepower he brought with him, Barber, 31, took only one life that day. He killed himself with a shot to the head. "He went to Fort Lewis to kill himself to prove a point," Kelly Barber says. " 'Here I am. I was a soldier. You guys didn't help me.' "
For two days, a surveillance camera recorded the truck sitting in the Madigan Army Medical Center parking lot. Inside the truck, the body lay undisturbed. If Josh Barber wanted his suicide to make a statement, no one seemed to notice. Barber's suicide is part of a larger story — the record number of soldiers, Marines and combat veterans who have killed themselves in recent years, at a time when the Pentagon has stretched deployments for combat troops to meet President Bush's security plans in Iraq. The Marine Corps reported 41 actual or suspected suicides in 2008, a 20% increase over 33 in 2007. In 2007, the Army counted 115 suicides, the most since tracking began in 1980. By October 2008, that record had been surpassed with 117 soldier suicides. Final numbers for 2008 have not been released. Suicides among Iraq and Afghanistan veterans doubled from 52 in 2004 to 110 in 2006, the latest statistics available, according to the Department of Veterans Affairs (VA). And the suicide rate among Iraq and Afghanistan veterans is outpacing the rate among civilians, a disturbing trend because the military screens troops for mental health issues and servicemembers typically are healthier than civilians, says Han Kang, a VA epidemiologist. "Cases like Sgt. Barber's are heartbreaking and my thoughts and prayers are with his family at this difficult time," says Sen. Patty Murray, D-Wash., who has focused on military suicides as an issue and whose staff assisted Kelly Barber through her ordeal. She says a cultural shift is needed in mental health care to expand outreach and de-stigmatize treatment for servicemembers and veterans. "These problems can't be solved overnight," Murray says. "There is much more that needs to be done." Josh Barber's wife shared his medical records with USA TODAY to provide a cautionary story about a soldier forced out of the service despite psychological illnesses caused by war. "My husband fell through the cracks," Kelly Barber says, adding that she also is haunted by the idea that she could have done more to save him. "My husband's death shouldn't go in vain." A large, jovial man who loved food and the outdoors, Josh Barber grew up in Traverse City, Mich. The youngest of two children, his parents divorced when he was in grade school. Barber became engaged to Kelly Watson, the sister of his best friend, in 1997. He earned a high school equivalency degree before enlisting in the Army in 1999, and considered a career in the Army. But he changed his mind after serving in Iraq.He and Kelly married after his Army basic training and before he began attending cook school. Barber had no history of mental health problems before enlisting, says his VA doctor, Lisa Olsen. His biggest problem was keeping his weight to service standards. The Army's assignment to cook school led Barber to a job in which he excelled. His grill work was second to none — whipping up omelets and burgers to taste, always recalling a customer's favorite style of eggs, according to comments on his memorial page. He took a job, Olsen notes, that was devoted to serving and feeding other soldiers. "He probably never suspected that he would be called on to serve in a combat role," she wrote in a letter to Kelly Barber, now 40, after his death. But then, in 2003, the United States invaded Iraq. When he arrived in Iraq in October 2004, contractors did the cooking. Barber was made a gunner on a Humvee. He stenciled a skull insignia from his favorite punk rock band, Misfits, onto his .50-caliber machine gun, and ran convoys. He worked base security along the Syrian border and manned an observation post near Fallujah during fighting there. His only joy, Olsen says, were the care packages from Kelly Barber stuffed with beef jerky and jars of Jif peanut butter. On Dec. 21, 2004, in Mosul, a suicide bomber detonated explosives in a mess tent, killing 22, including 14 soldiers. Barber stood guard over the carnage. He would never forget the "smell of death," he later told Kelly. The shock of the blast affected others, including Army Gen. Carter Ham, who arrived at the scene 20 minutes after the attack. Ham told USA TODAY the incident contributed to the combat stress he developed afterward. There's things that go on over there you'd never believe," Barber told one of his best friends, Justin Haelle, during a trip home in 2005, "things I'll never be able to tell Kelly about." Barber earned a combat action badge for fighting in Iraq. When he rotated home in September 2005, he filled out a health survey saying he had seen Americans and insurgents killed and wounded, had fired his weapon in combat and feared for his life. He admitted feeling numb and detached from others. Barber left active duty in 2006 for the Army Reserve. Now a civilian, he got a job as a temporary cook in the dining facility at Madigan Army Medical Center here at Fort Lewis, about 40 miles south of Seattle. Shortly after coming home, he went deer hunting in Michigan with his father, Dennis, something both had happily anticipated after Josh Barber's long absence. B ut the son didn't kill anything that day. Later he told friends that he never even loaded his rifle while walking the brush. One night during that hunting trip, the sound of gunfire woke Dennis Barber. He found his son, who had been drinking, blasting away at a paper target out in the darkness. "What the hell are you doing?" he says he asked. Josh Barber stopped shooting and eventually went to bed. Dennis Barber now wonders about that night. "The armed forces can train you to do things you normally wouldn't do," he says of his son's experience. "But they've never been able to train people how to forget." Barber's military records show he was forced out of the Reserve after a diagnosis of depression that was listed as "non-duty related." The Army provided no clarification on this issue. His plea to be retained and transferred into one of the newly created Warrior Transition Units for psychological care went unanswered, Kelly Barber says. "The once smiling, happy man I knew is now quiet and depressed, reliving the events he experienced in Iraq today and full of guilt," she wrote in a 2006 letter to the VA. "He has had to face many demons." About that same time, VA counselors diagnosed him with combat-related PTSD. Classic symptoms were emerging, according to his medical records. Barber suffered nightmares filled with combat and explosions. He had flashbacks marked by moments when he simply seemed to be deep in thought, often while drinking vodka. "He feels quieter and more isolated and feels somewhat less of a nice guy than he did before he deployed," counseling notes say. Life was unraveling in different ways. It took more than seven months for the VA to re-evaluate his wartime disability and grant him benefits. At work, he struggled to be retained as a permanent employee and promoted. He was reprimanded for his anger, according to his records. By this spring, Kelly Barber was working 52 hours a week at two hospital clerical jobs. Josh Barber was drinking more, an increasing area of friction. The strain on the marriage was evident. Kelly Barber would find her husband crying in his sleep. He awoke from nightmares covered in sweat, his heart racing. His moods would alternate between feelings of apathy and moments of tearful reactions to small things, medical records show. It was unclear whether Barber continued to take his anti-depression medication. During one conversation about his drinking, Barber blurted out that he was afraid of going to hell for killing an innocent Iraqi in the war. Barber told his wife that if it wasn't for her, he would have committed suicide long ago. Kelly Barber says she told him they would work through his problems. When she awoke early on Aug. 24, Josh Barber was drinking vodka in front of the TV. Kelly Barber said she yelled at him for the first time. "I said, 'If you continue to drink like this, I don't know how much more I can take,' " she recalls. She now agonizes over that memory every day. "Did I give him an ultimatum?" He vanished that night with his guns and ammunition in the Ford F-150 that Kelly Barber gave him as a coming-home gift from Iraq. He left a note: "I love you. Please do not blame yourself. Sorry." Army Col. Ronald Place, acting hospital director on the day Josh died, said "the whole family at Madigan Army Medical Center has suffered a lot with Mr. Barber's suicide." Place said identifying and treating psychologically wounded soldiers has improved since Barber left the Army, but more needs to be done.
" 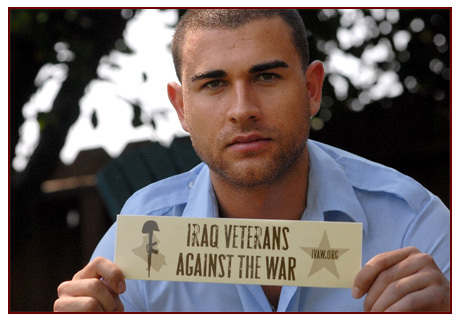 This young man served honorably in combat for 12 months," Place says. "We're still looking at how could we have potentially helped this civilian employee." One problem is a failure to seek help, Place says. Barber showed signs of anxiety, anger and detachment from others in a Fort Lewis questionnaire filled out in November 2005. But he did not request any counseling, according to the document provided to USA TODAY. A leading suspect in the rise of suicides are the long and multiple combat deployments — not as a direct cause, but as a leading factor behind the stresses and family divisions that result, says Col. Carl Castro, an Army psychologist and suicide researcher. The historic causes of suicide are hopelessness borne of stress, failed relationships and legal and financial problems, he says. Soldiers have been required to serve multiple 12- to 15-month combat tours, with short periods of rest in between. More than 60% of soldiers who killed themselves in 2008 were, or had been, deployed, figures show. "So the question becomes, 'Well, what could be affecting those factors in making them higher? And that's really where we then start looking at frequent and long deployments," Castro says. Surveys of troops reveal that mental health can fray after six or seven months of war, Castro says. "You start seeing huge differences in terms of depression scores, PTSD rates, all sorts of mental health issues," he says. "And I think it has to do with the separation from family and friends and that social support network." To find answers, the Army joined with the National Institute of Mental Health in October seeking proposals for a $50 million study. It will track a cross-section of soldiers over years, sifting for clues about signs of self-destruction and also evidence of resilience, says Robert Heinssen, project officer. The hope is for initial results in a year, he said. "We're trying to work it so we get as fast a start-up as possible because soldiers are dying. We feel that urgency." Still reeling from twin blows of Josh Barber's suicide and his heavily armed appearance at Fort Lewis, his family and friends struggle to make sense of it. "Every time he turned around, he felt like he was getting slapped in the face," his friend Haelle says. A memorial service with military honors will be held for Barber on March 6, at Sarasota National Cemetery in Sarasota, Fla.
"Everybody wants to know why," his father Dennis Barber says. "Why did you have all that ammunition? What was he going to do out there, have a stand-off? I don't think so. But then again, when people snap, you never know what you're going to do. "Josh took that (answer) with him," Dennis Barber says. A group of Iraq Veterans Against the War (IVAW) are planning to start up a GI coffeehouse near the entrance of the Fort Lewis military base in Washington State. Though the project is still in its planning stages, the idea is that it will be a center for supporting GI rights and war resistance in the region, as well as a place for GIs to get coffee right off the base. More details to follow as I become aware of them.